Protein: Is it possible to get it only out of plants? Traditionally, meat is considered the top food option when it comes to protein intake. However, animal food is not the only way to get such nutrients. There are plant based food options, such as beans and whole wheat cereal, fruit, nuts and seeds that offer plant protein and come with numerous benefits. They provide the body with the necessary dietary fiber, while they may also help you reduce the risk of cardiovascular disease and type 2 diabetes. It is important to know the exact quantity of plant based protein that you get out of every food. A cup of raw broccoli, for example, contains about 2 grams of protein, while a handful of almonds come at 6 grams. Protein contains amino-acids, which are used from the body as structural elements for muscles and collagen, which improves your skin. Food protein may contain up to 20 amino-acids, while the liver is only able to produce 9 of them. The rest 11 are of utmost importance, which means that they must come from food sources. Without them, body cells will not be capable of ensuring the proper structure of muscle and collagen. When a protein contains all the necessary amino-acids, just like it happens with animal based protein and a small part of plant based protein, it is called a complete protein. When this is not the case, it is incomplete protein. This is what happens with beans and walnuts, for example. The secret lies in the consumption of a wide variety of food options on a daily basis, so that you make sure you receive all the amino-acids you need. In addition, you should be careful when choosing protein sources for every meal, so as to guarantee that you get all the nutrients your body is entitled to. If you are not familiar with plant based protein, you should start slowly. Each Monday, create a meal that is considered plant based protein. Replace the traditional burger with a veggie burger for dinner or try hummus for lunch. Edamame or else soy beans are an excellent source of protein, containing up to 17 grams per cup. In addition, daily intake of soy may reduce LDL cholesterol levels significantly. You have the opportunity to cook edamame as stir fry, use it mashed or in a veggie burger or even sprinkle it on top of salads. Hemp seed is an exceptional source of magnesium and zinc, which are both elements that improve our immune system. More than that, they offer 10 grams of protein in just 30 grams of hemp seed. You can sprinkle your salad with hemp seed or you can add a tablespoon in a healthy smoothie. Each grain of amaranth contains phytosterols, popular for reducing cholesterol. You can try it out in a risotto or use it instead of croutons on top of a salad. Amaranth offers 9 grams of protein per cup. Quinoa is another great source of dietary fiber and provide significant quantity in potassium, which can help you better control blood pressure. Quinoa offers 8 grams of protein per cup. You can add it in soup, use it instead of rice or in salads. When Chia seeds become wet, their fiber becomes like gel and expands. This helps you stay full longer and may also prevent constipation. Just a handful of Chia seeds offers one third of your daily needs in dietary fiber. With up to 5 grams of protein per handful, this is a great option to consider. Try Chia seeds in yoghurt or plant based milk, adding some honey. 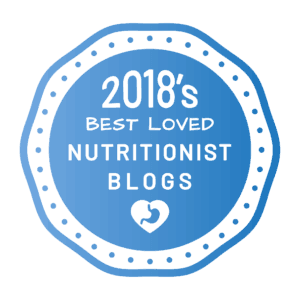 Great article and ideas – we have been reducing meat and trying to keep our protein uptake up so this is really helpful. Thanks! How can I identify a milk intolerance? Lettuce: What is its nutritional value? Simos - Yumbles on Protein: Is it possible to get it only out of plants? iris on What is the best time to consume your protein? ftemp.nfshost.com on Emo Eating? No more! Georgetta on Emo Eating? No more! Copyright © 2015-2019 Anna Cortesi - Personal Nutrition Coach. All Rights Reserved. Web Development: Idilio Studio | Web Design: Natasa Lagou.